The FCC started licensing UHF TV stations back in the early 50s, it wasn’t until 1965 that all new televisions were required to receive UHF signals, and it was 1975 before Ted Turner turned his local Atlanta channel into a satellite “Superstation” to forge a media empire. But in UHF’s heyday every market had two or three or four struggling local stations competing for eyeballs with old reruns, cheap movies, weird local programming, cartoons, and shows aimed at the ethnic minorities underserved by local media; an anything-goes free for all where creatives could experiment (see: MST3K) and where a spin across the dial might bring you Jesus, Hercules, the Beaver, El Santo, Gilligan, or in the case of a few markets, translated and subtitled Japanese TV cartoons. Unsuspecting American homes received uncut jolts of super robot action, space piracy, heartrending girly melodrama, football team UFO psychics, and combination-supercar races, airing in Japanese cultural blocks next to news shows, sumo scores, flower arranging how-tos and business reports. Cities with large Japanese populations like NYC, Chicago, and the San Francisco Bay area found themselves lucky enough to get their anime fix straight without any Jim Terry or Sandy Frank cutting the dosage. Classic anime series like Raideen, Getter Robo G, Candy Candy, UFO Dai Apolon, Gattiger The Combo-Car, Cyborg 009 and Space Pirate Captain Harlock all made their Western debuts via these Japanese-language UHF transmissions. 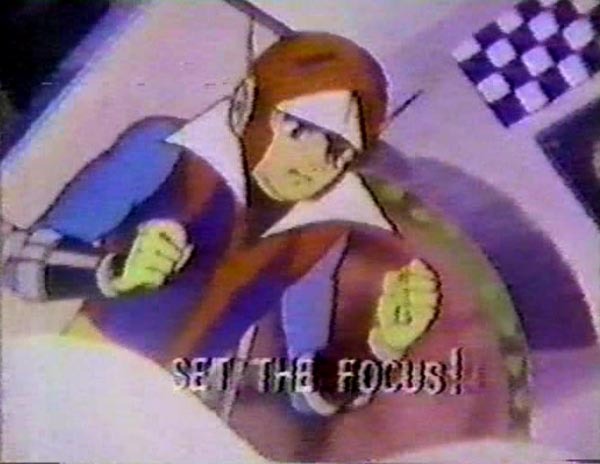 These broadcasts would jumpstart American anime fandom in the dark interregnum between Speed Racer and Battle Of The Planets, and would be videotaped off-air on primitive wired-remote, top-loading VCRs and distributed throughout the country in conditions of extreme obscurity. As the 80s progressed, shows like Dr. Slump and Fist of the North Star would confuse cable TV-watching Americans until Fuji-TV realized what was going on and pulled the plug. KIKU-TV (13 on your dial) in Honolulu led the charge in the early 70s with programming aimed at Hawaii’s large Japanese-speaking population, hungry for terebi from home. One particular KIKU success was Toei’s live-action Kikaida, sparking Hawaiian love of the character that continues to this day. KIKU would keep the Toei tokusatsu parade marching with shows like Kamen Rider V3, Rainbowman, Ganbare!! Robocon, Goranger and Battle Fever J. KIKU would phase out their Japanese programming in the early 1980s and another station would eventually take over the call sign, but in their 70s heyday they provided Japanese programming for stations across America, both subtitled and unsubbed, including, along with their robots and spaceships, some possible cultural significance with titles like ghost comedy Obake Q-Taro, Manga Folktales Of Japan and the Zen Buddhist monk sitcom Ikkyu-San. 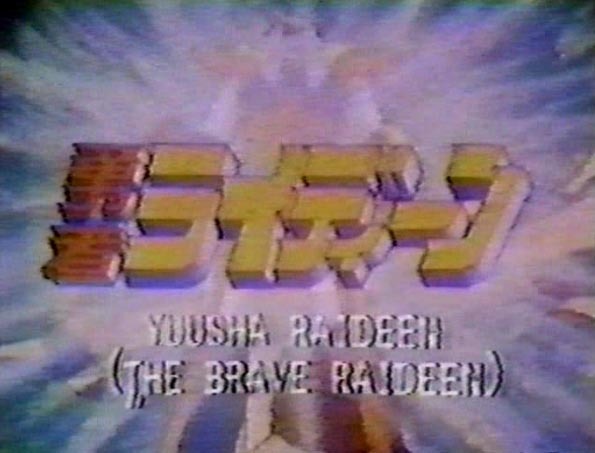 In 1976 KIKU teamed up with the Marukai Trading Co. to bring the English-subtitled adventures of Brave Raideen to markets in California and New York. 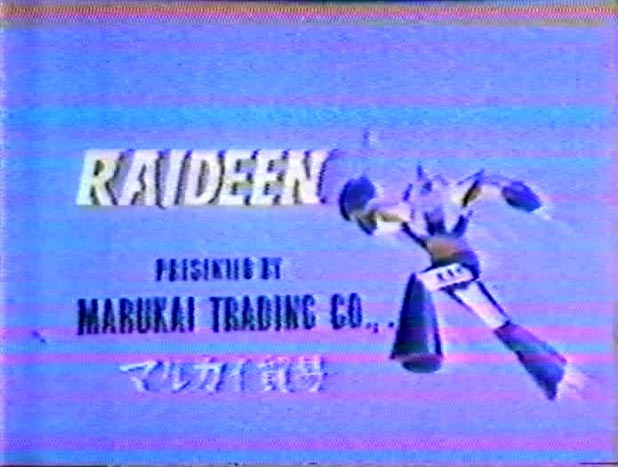 Marukai, the Osaka-based export company that would later open American price-club stores and the “98cent Plus” chain, sponsored Raideen to advertise the Raideen import toys they just happened to be distributing. Was this a case of Japan making an end run around Mattel, who’s Shogun Warriors toys were just starting to be sold in America without the marketing benefit of TV cartoon tie-ins? Only Prince Sharkin knows. 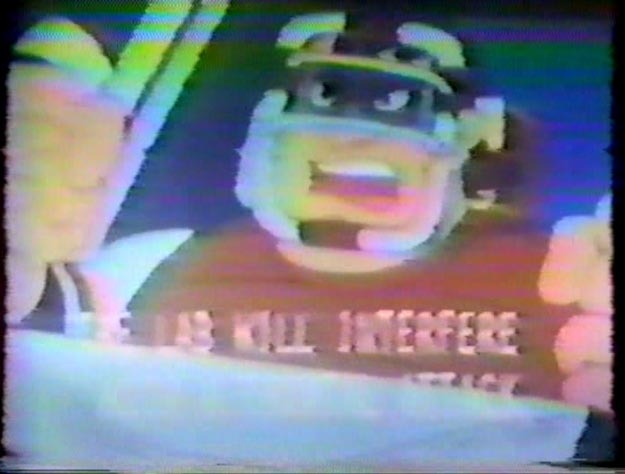 One thing we do know: the New York/New Jersey station WNJU-47’s broadcast of Raideen in March of ’76 may well be the first ever American broadcast of a super robot cartoon. In this late 70s-early 80s period, Japanese animation would air on a variety of stations. Chicago’s Channel 26 WCIU, home of Mulqueen’s Kiddie A-Go-Go, Soul Train, and horror host Svengoolie, would screen untranslated films like Sanrio’s Ringing Bell in between ads for Kokuho Rose Brand Rice. 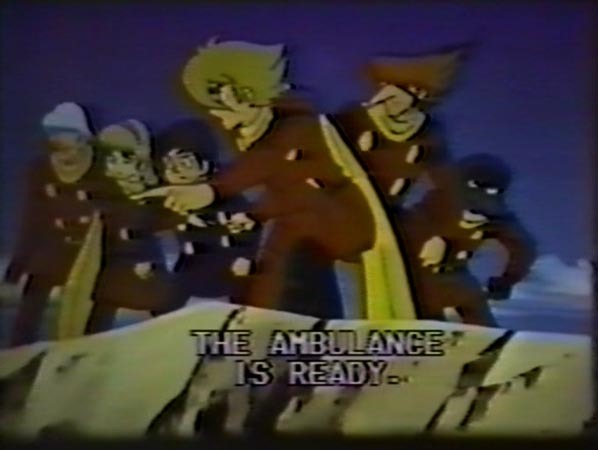 The New York City area’s WNJU, which once aired Cool Ghoul Zacherle’s “Disc-O-Teen,” broadcast a full package of subbed anime hits including Cyborg 009, Galaxy Express, Raideen, and Harlock, and would later form Hispanic broadcaster Telemundo. Sunday nights in Sacramento CA, KMUV-31 showed Raideen with subs and Goranger without. The SF Bay Area would get anime via two stations, KTSF-26’s “Tokyo TV“ block and KEMO-20’s Sunday night “Fuji TV” package, confusing generations to come by sharing names with Japanese broadcasters TV Tokyo and Fuji TV (now FCI), which also further clouded the issue by providing Japanese programming to American audiences via the Nippon Golden Network cable TV station. Why, we may ask, were these shows subtitled in English to begin with? To let third and fourth generation Japanese enjoy Getter Robo G along with Grandpa and Gramma-san? To help promote Japanese language facility via pop cultural means? As a nod to the vast audiences of Anglos inadvertently exposed to the raw power of “Japanimation”, as it began to be called at the time? Or did some marketing genius at Marukai realize they could sell more Raideen toys to an audience that knew who Raideen was and why Raideen was awesome? KIKU-TV’s English localization was rudimentary at best, reducing dialog to the bare minimum and presenting the subtitles in a crudely character-generated all-caps font. Precise these were definitely not. 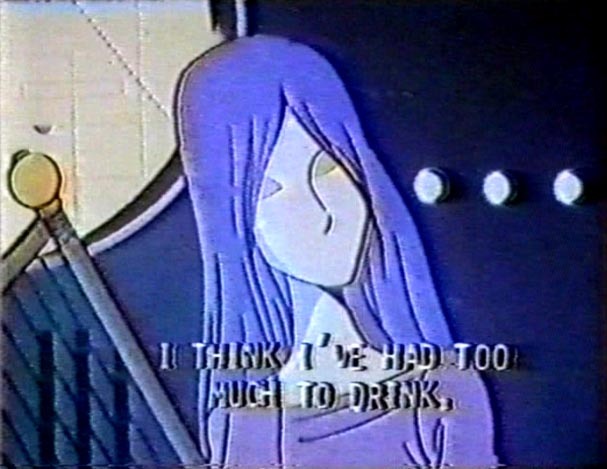 However, for fans eager to experience uncut Japanese animation in its original language, these subtitled shows were an intoxicating look into a world usually denied viewers on this side of the Pacific. 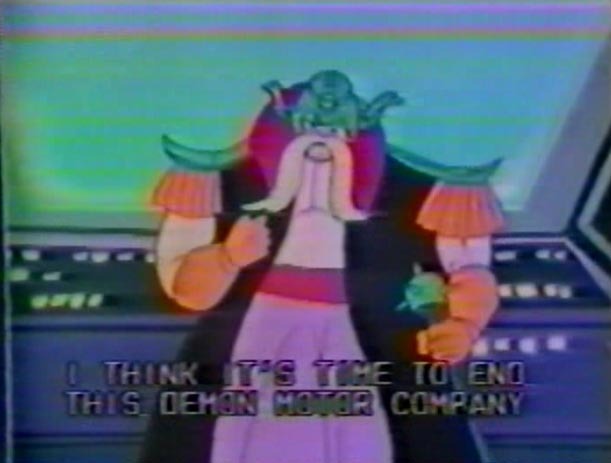 For some fan subtitling groups, KIKU’s subs would provide a base for more comprehensive versions (for instance, CPF's Captain Harlock fansubs). Copies of these shows were rare. This wasn’t merely taping Robotech off-air or spending a few hundred dollars on import VHS; you had to know someone who knew someone who happened to be operating a video recorder in a very specific place at a very specific time, and that someone had to owe you a favor, Godfather style. For those intent upon distribution through fan networks, these subtitles pushed consumer-grade video-reproduction technology to their limits. Already weakened via whatever stone-age video processing system KIKU and Fuji TV were using to generate their subtitles, these episodes were recorded off-air by the primitive two-headed VCRs of the late 70s and early 80s. By the time they were passed from fan to fan via daisy-chained, overheated VHS decks, the barely adequate signals were nearly unwatchable, forcing desperate viewers to hope for dark backgrounds during important plot points. KIKU would end their anime experiment in the early 80s but the Japanese-language cable station Nippon Golden Network would pick up the slack a few years later. Since 1981, NGN has brought Japanese TV, including news, J-drama, karaoke, and children’s programming, to markets in Hawaii, mainland United States, and Guam, and interestingly enough is now partially owned by Japanese telecom giant J-COM. 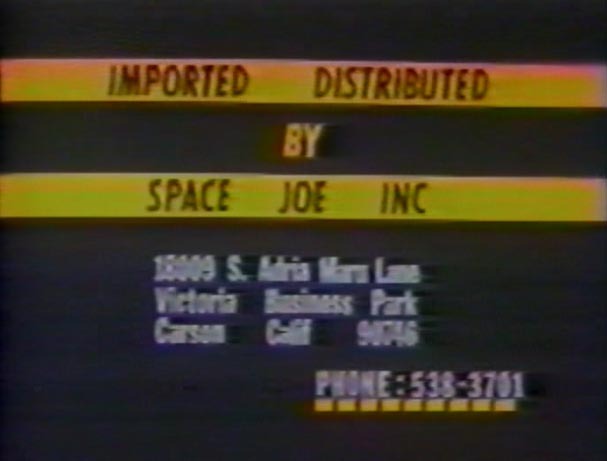 In the late 80s and early 90s NGN broadcast subtitled episodes of Galaxy Express 999, Dr. Slump, Dragonball, and Fist of the North Star, provided to them by Japan’s original broadcast network, Fuji TV. 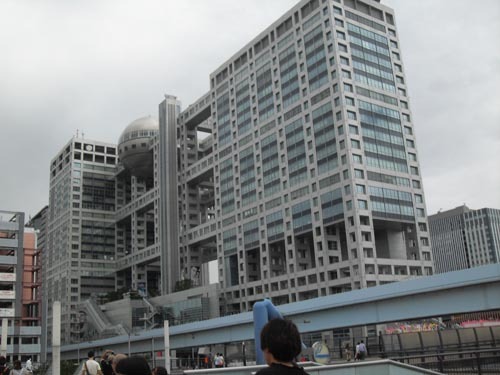 At some point somebody somewhere inside the cavernous sci-fi Fuji-TV headquarters building on Odaiba in Tokyo – two blocks from where the life-size Gundam now stands guard – somebody there noticed that popular Japanese programs were airing on American television, possibly forestalling any future licensing of said popular Japanese programs to the wider American TV market. 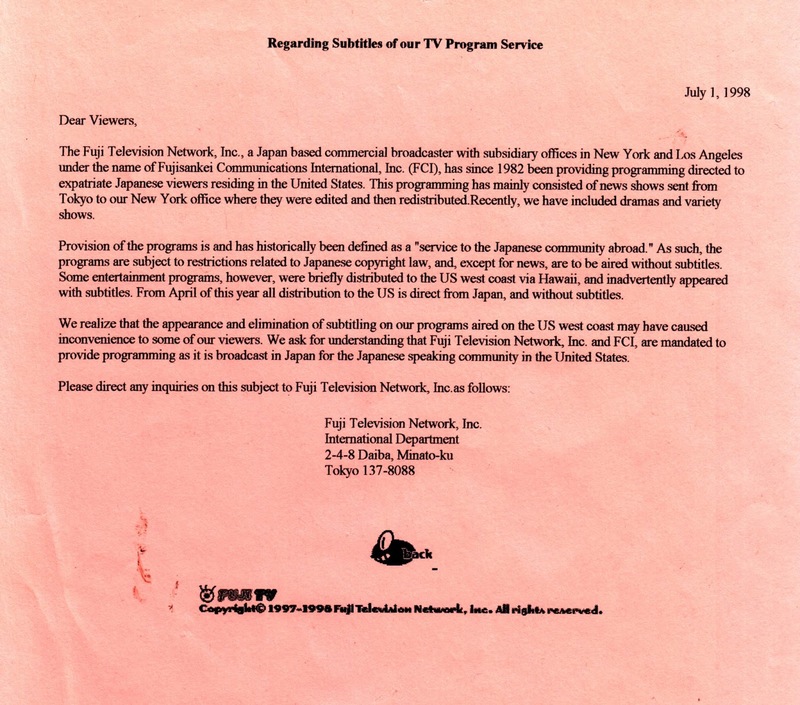 This led to a fascinating press release from Fuji-TV; turns out some “entertainment programs… were briefly distributed to the US west coast via Hawaii, and inadvertently appeared with subtitles”. The delicate and very Japanese wording of this piece presents the facts without assigning any actual blame to the seemingly accidental translation and subtitling of hundreds of TV episodes. Sorry, it was inadvertent, won’t happen again. Fortunately for anime fandom, by 1998 there was not only a underground samizdat network of fan translators and subtitleists delivering anime in readable English, but also a sizeable and growing North American anime localizing industry releasing Japanese animation to the home video market. The day of the barely legible, barely translated UHF broadcast had passed. Only dust and piles of shedding VHS remained in its trail, a faint air of mystery and bewilderment drifting in the snow between the channels, taking us back to the time when UHF television was a frontier where anything was possible, even uncut Japanese animation with fuzzy, barely legible subtitles.